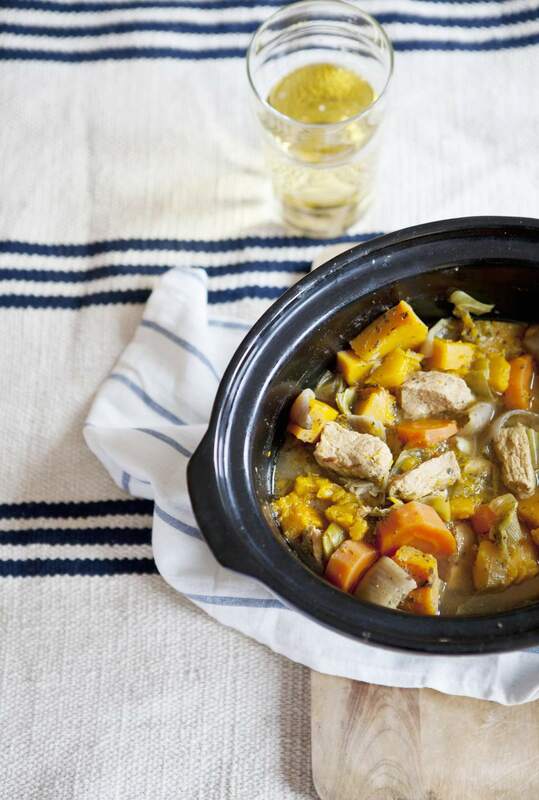 Try pork in a whole new way using this pork stew recipe, which is made using a slow cooker. You'll start with a cubed boneless loin (or tenderloin) and then add chicken broth as the base along with other vegetables and seasonings. Some sources say not to substitute loin and tenderloin; they are different cuts of meat. The tenderloin is the slimmer, more narrow cut from the backbone of the animal, while the loin is a thicker roast-like chunk also from the back. Pork tenderloin will become dry when overcooked, so it is not an ideal cut for the slow cooker. Mix all ingredients except flour and butter directly in a 4- to 6-quart crockpot. Cover and cook on the low setting for 8 hours (or high heat setting for 4 hours), or until pork is no longer pink and vegetables are tender. Combine the flour and softened butter or margarine; stir until smooth. Stir the flour mixture, one spoonful at a time, into the stew until it is blended. This will thicken up the sauce. Cover the pot again and continue to cook on the high heat setting for another 30 to 45 minutes longer, stirring occasionally, until thickened. Don't open the lid too often. For every time you open it, you'll need to add 15 to 20 minutes on to the cooking time. Preheat your pot. Instead of tossing the ingredients in, mixing them up and then turning the pot on, try keeping it on for about 20 minutes prior to adding ingredients. Keep veggies in mind. The high setting is only for heating it up. Delicate vegetables can't hold up for a long time, while potatoes can. Experts say to stick to the low setting for most dishes, but you can experiment — or just toss veggies in a few hours into cooking.